Being the world’s most trafficked mammal has brought the pangolin to the brink globally. But a new national strategy will ensure the Sunda pangolin will continue to find refuge in Singapore. 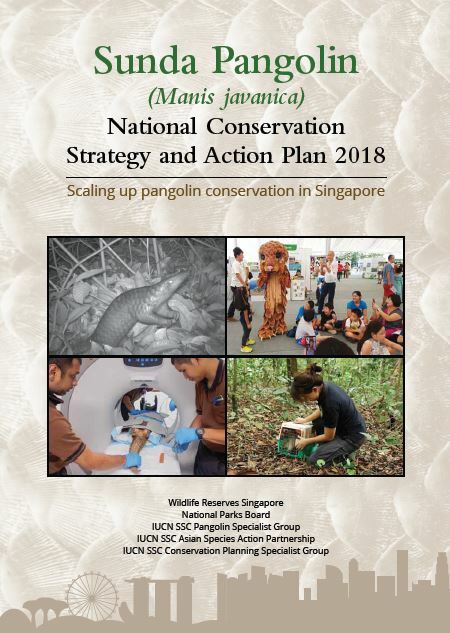 Conservationists from Singapore and beyond have developed a Sunda pangolin National Conservation Strategy and Action Plan. The document sets out a 50 year road-map for securing a thriving future for the Sunda pangolin in Singapore. Mr Desmond Lee, Minister for Social and Family Development and Second Minister for National Development led a launch event at Singapore Zoo. The process began with a workshop in 2017, which ASAP helped to organise. Attended by 50 conservationists, including international experts, attendees discussed the status of Sunda pangolin in Singapore, and a way forward for its conservation. Five goals in the plan include establishing wildlife-conscious urban planning policies, habitat protection and rescue, release strategies. The strategy will be delivered by the Singapore Pangolin Working Group, which includes government agencies, NGOs, tertiary institutions and other experts. 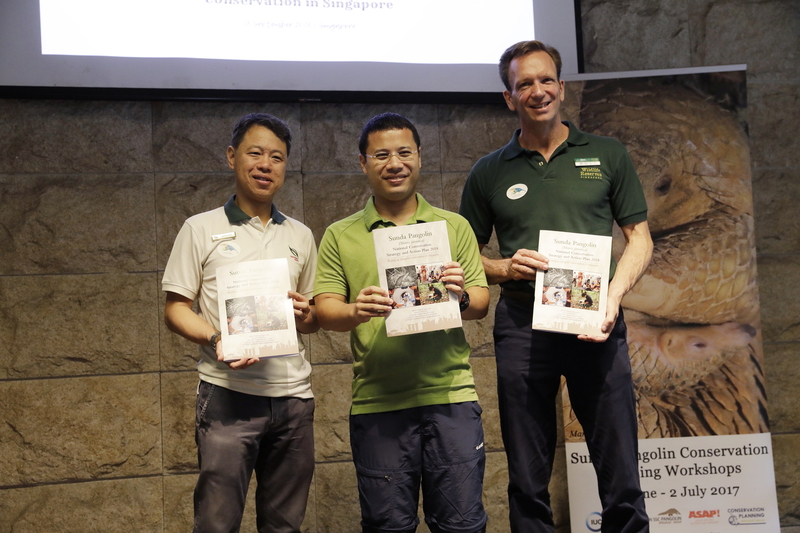 Its development was a collaboration between the National Parks Board (NParks) and Wildlife Reserves Singapore (WRS), with support from ASAP and other IUCN groups. Mandai Park Holdings Group Chief Executive, Mike Barclay, said, “To save this iconic animal, we need to work together on a comprehensive and coordinated plan. We are thus optimistic that the National Conservation Strategy and Action Plan will allow pangolins to co-exist with us in our densely populated city”. To demonstrate the strategy in action, the launch saw a rehabilitated baby Sunda pangolin being released. 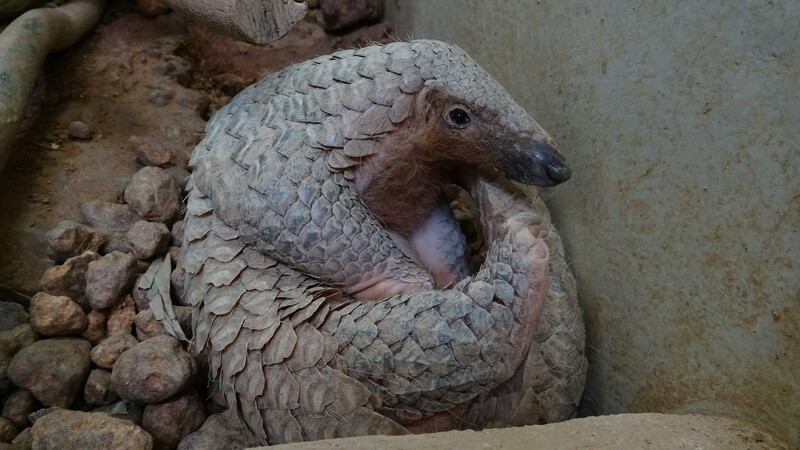 The rescue centre at WRS received a baby pangolin in January 2017. They cared for and reared the young pangolin for almost two years. The release is a collaborative approach by WRS and NParks. This is the first ever case of a baby pangolin being hand-reared and rehabilitated for release. NParks’ Group Director of Conservation, Dr Adrian Loo, is optimistic about Singapore being able to provide safety for pangolin. He said, “In-situ conservation efforts over the years have helped to enhance the ecosystem needed for various native species, including the Sunda pangolin, to thrive”.